I can never get enough of mushroom. Love every dish with it (esp recently). My kids love it to their core. 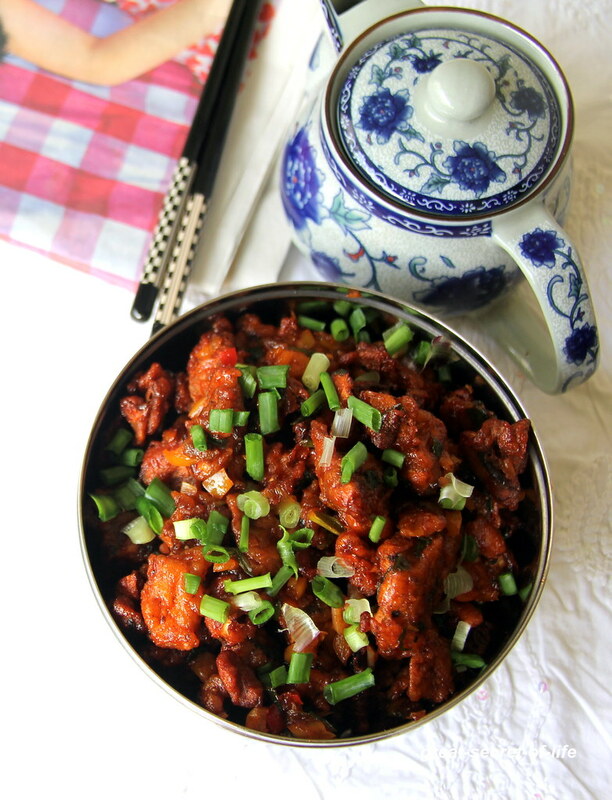 We all love manchurian dish. This dish tastes good with white button mushroom. I love both dry and semi dray version. I made semi dry version to go with fried rice. Rise and clean mushrooms. Drain them completely. And slice them into thin slices. And place it on tissue paper to remove excess moisture. 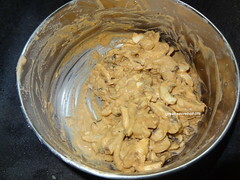 In a bowl mix all the ingredients under for batter section except oil. 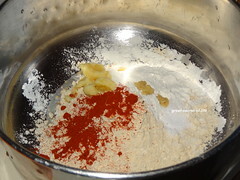 Mix water little by little to get the thick batter. Add mushroom and let it marinate for 30 mins. 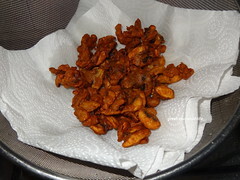 Once done deep fry them till golden brown (and the "Shhhh" sound completely subside. It is important it is fully cooked otherwise the Manchurian will become soggy after sometime). 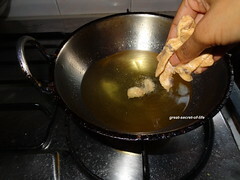 Leave it on tissue paper to drain the extra oil. Keep it aside. 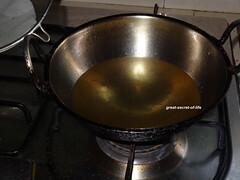 Now heat the oil in the kada. 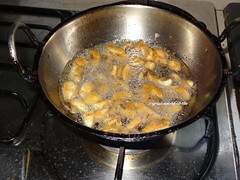 Add Garlic and fry till they are brown in color. 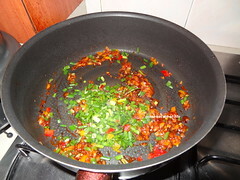 Add capsicum and fry 2 mins. It should remain crispy. Now add soya sauce, tomato sauce, Pepper Powder, salt and green chillies. Mix well. . Add Spring onion and mix well. 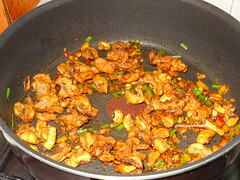 Add fried mushroom and mix well. 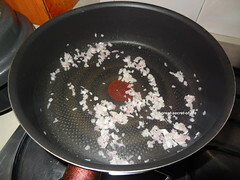 Fry it for 2-3 mins. Switch it off. Mushroom machurian looks so tempting...Lovely clicks too. Wish i get that plate rite now from my lappy screen, irresistible manchurian..
i can gulp up the entire big bowl..
What a delicious meal here.. my husband loves mushrooms so this might be his new favorite recipe. pls pass that on... i could have it right away! 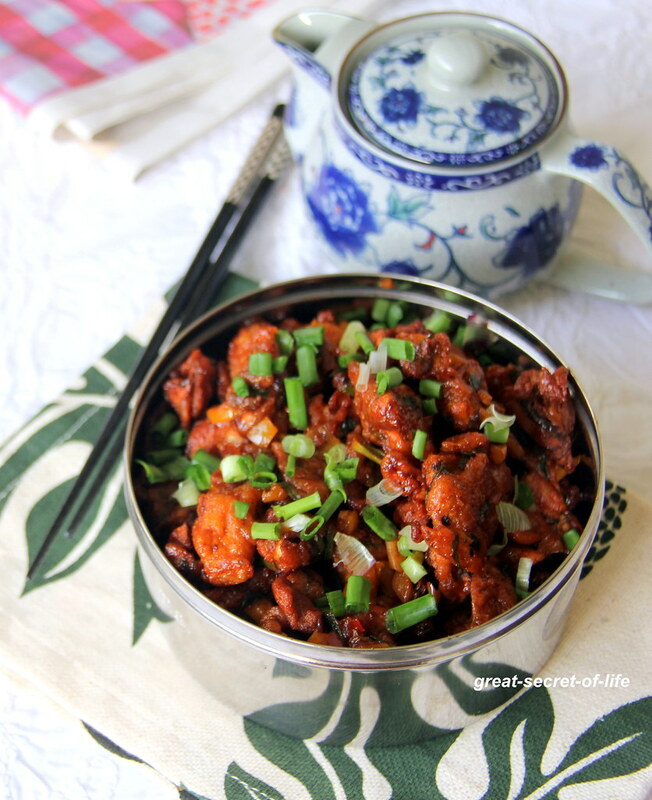 wow mushroom manchurian looks superb and absolutely delicious..